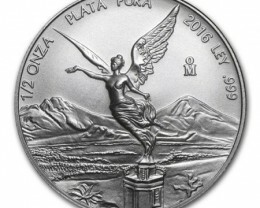 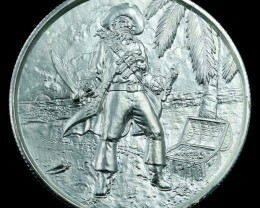 Mexican Libertad Silver Bullion Coins are struck annually for investors and were first minted in 1982. 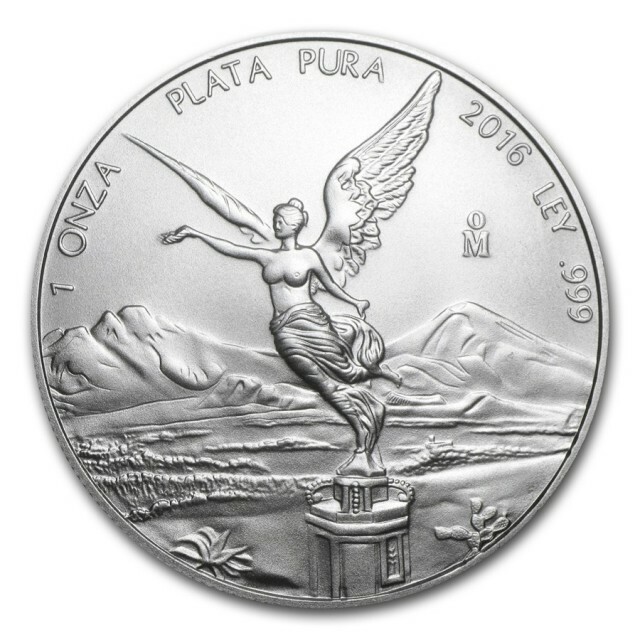 A beautiful winged angel design has been portrayed on the coin since its inception. 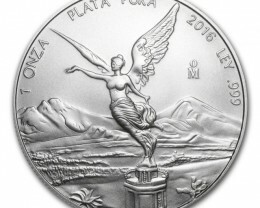 That design, which is still used today, depicts the spectacular Angel of Independence—an eight ton golden statue on top of a tall slender column in Mexico City. 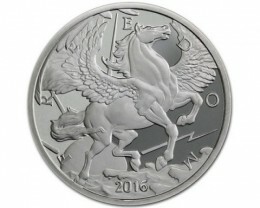 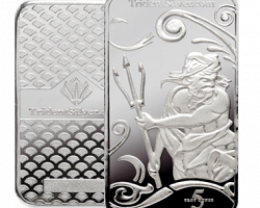 Mexico is known for producing some of the largest silver coins in the world, which is highlighted by the Libertad. 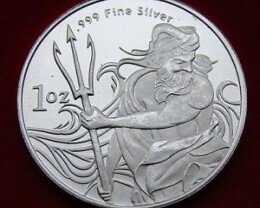 The coins are struck in pure 99.9% fine silver and are of investment grade. 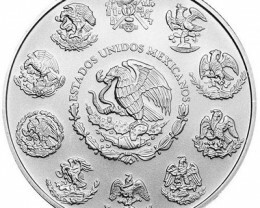 The obverse or heads side of the coin features an eagle battling a snake (Mexico’s national coat of arms), which is surrounded by a wreath and the words “ESTADOS UNIDOS MEXICANOS”. 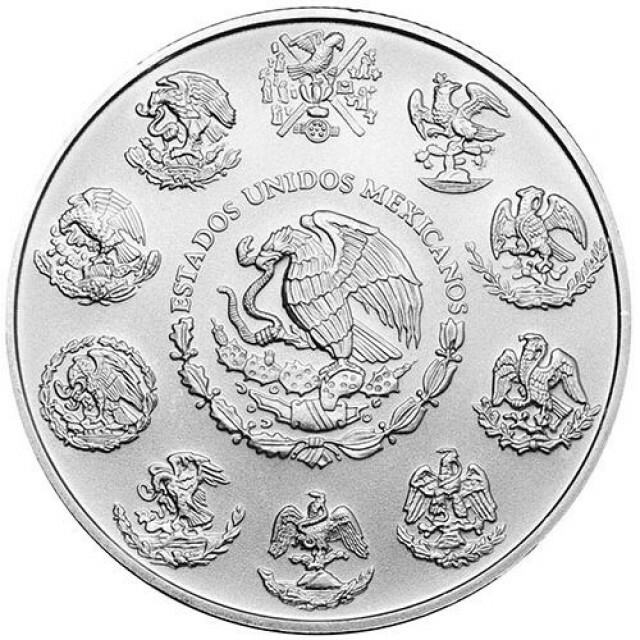 Encircling the centre are ten eagle designs that have been used as National Emblems through the centuries, including one depicted in the 16th century Mendocino Codex. 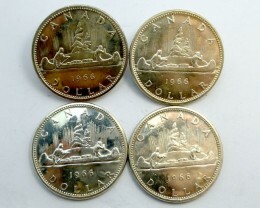 Since 1996, the reverse or tails side of the coin features the famed winged angel design. 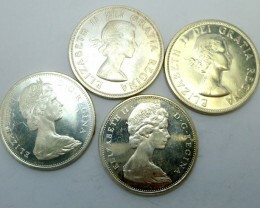 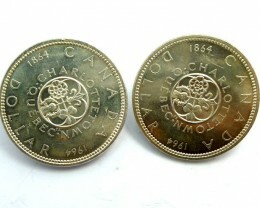 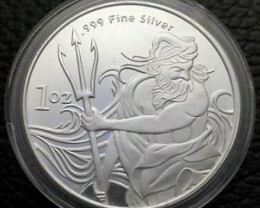 These coins are very popular among silver investors due to their high resale value and rarity.